Patient triage is the process of rapidly determining the best treatment for patients based on their specific needs and anticipated outcome of care. For tuberculosis (TB), this requires quick and accurate diagnosis of TB disease and the different patterns of anti-TB drug resistance by use of World Health Organization (WHO) recommended rapid molecular based tests. A patient can then be treated with the most appropriate drug treatment following KNCV’s “Right Diagnosis, Right Treatment” principle. 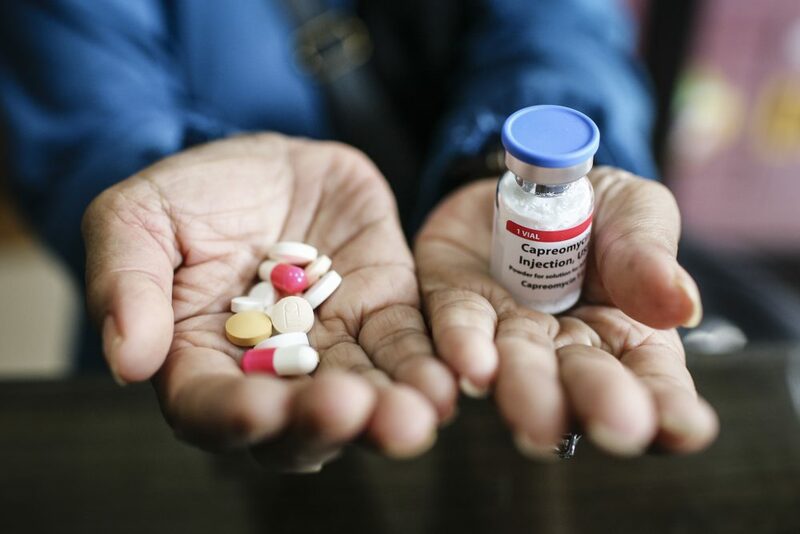 New drugs and shorter treatment regimens for drug-resistant TB (DR-TB) have in recent years been recommended by the WHO. In combination with the use of WHO recommended rapid molecular based diagnostic tests for TB and for DR-TB, it is now possible to quickly determine and prescribe the most appropriate TB treatment for each individual TB or DR-TB patient. This offers hope to hundreds of thousands of DR-TB patients who can now benefit from tests that quickly identify resistance to various drugs and determine eligibility for the shorter DR-TB treatment regimen which takes half the time and at nearly half the cost. 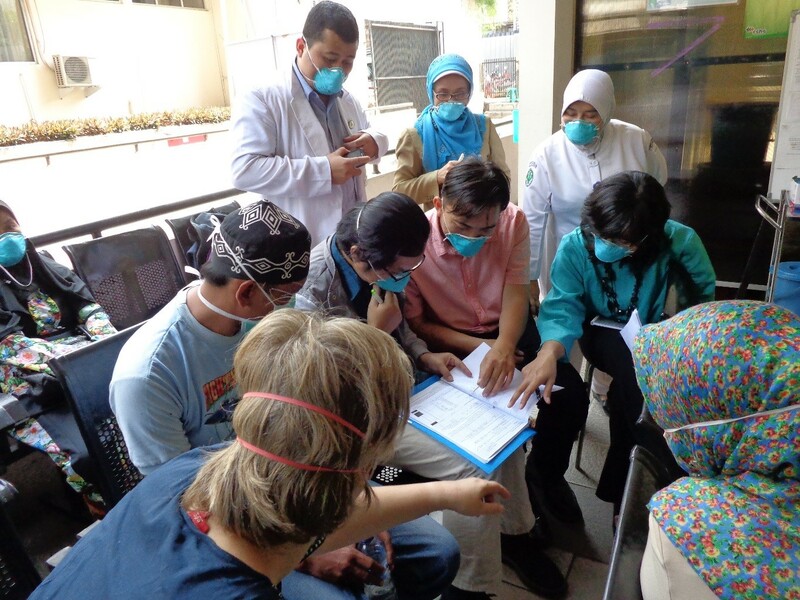 The KNCV Patient Triage concept begins with an individual who is presumed to have TB disease and ends with a permanently cured patient. Using rapid molecular based laboratory tests, an individual can have the absence or presence of TB disease confirmed. 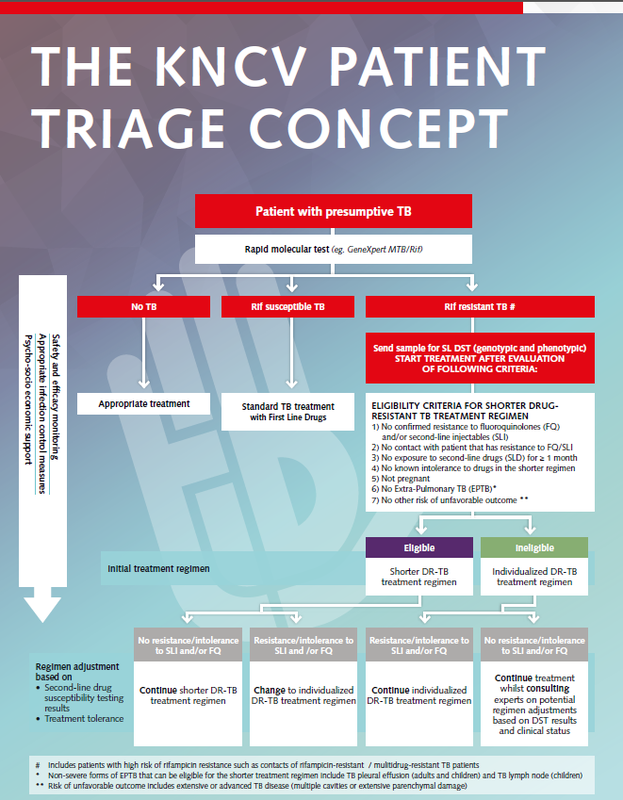 Depending on susceptibility to rifampicin, the TB patient can then be “triaged” to either a first line or second line drug regimen. Using the newly WHO recommended rapid molecular tests for second line drug resistance, patients with rifampicin resistance can be triaged to the most appropriate DR-TB regimen. Overarching activities, such as those required to ensure adequate and appropriate infection control measures are in place and essential for a comprehensive approach. KNCV strategic objectives focus on improving access to better care for patients, generating and sharing evidence and bolstering governance and management capacities for governments. 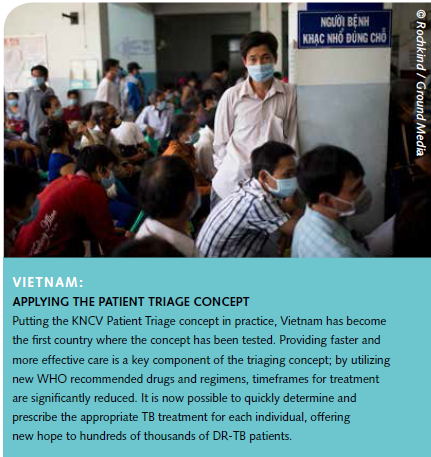 KNCV’s Patient Triage concept cuts across all areas of activities and, by presenting an end to end approach to care, addresses the objectives as laid out for KNCV. This requires the input across all of KNCV’s expertise and technical teams.